I know all about switching books out on shelves according to season, themes, colors, etc etc. You can't be on Instagram/#bookstagram and not see that stuff, honestly. While I understand the concept and appreciate the idea, I just never had time for it. 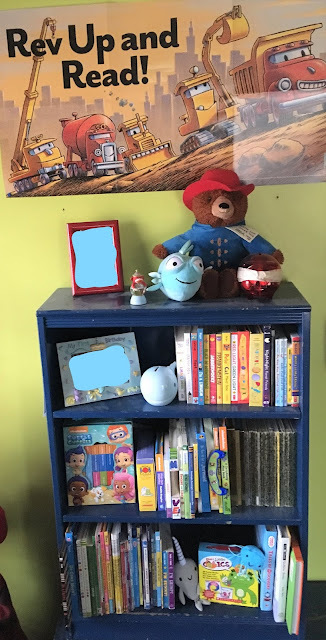 Plus, whenever I switched out my kid's toys, he would immediately ask for the toys I just put away, even though he hadn't touched them for two months prior! So playing the same game with his books just seemed exhausting and pointless. After doing the 12 Days of Christmas Storytime with my son, I realized how fun it was to have a different book to read every night. I'll admit I have some favorites that I love to re-read, just like he does. But... we often don't agree on which ones we'd like to read over and over again. Reading new books together made bedtime fresh and exciting for us, so I realized it was definitely time to go through his shelves and change things up. I left the series and favorites on the shelves, because we read obviously read our favorites a lot, and with series, there are multiple titles, so while we're reading the same characters for several nights, each book is different. I also left out some of his board books. While some board books can be intended only for babies, the ones I left out have more of a story to them, or are favorites, or are ones he can "read" independently. We have tons of children's books, so I added some "random" anytime titles to the seasonal stacks, just to have fresh books on the shelf that aren't specific to the time of year. I also culled some to donate, because we already have more than we need, and we go to the library to max out our cards fairly often! We'll donate some to a local women's and children's charity, and keep some to put in Little Free Libraries around town. As an added bonus, there's now room on his shelves for some of his smaller toy bins. They also fit under his bed, but often get pushed back too far to reach, so this is a great solution. 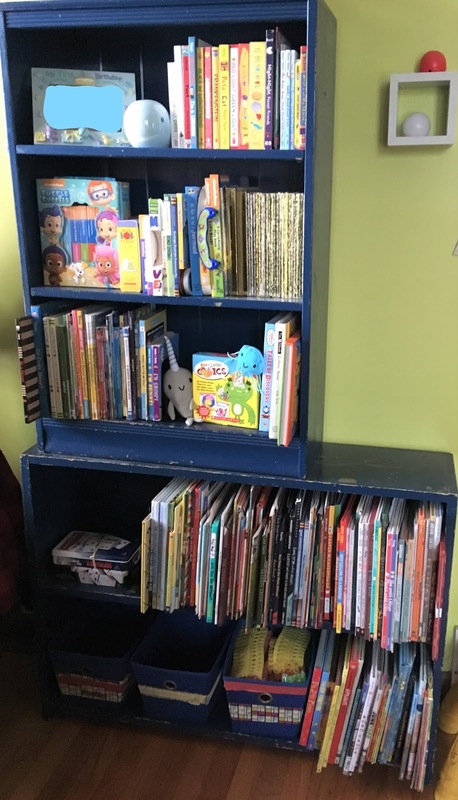 I love how his shelves look right now, but the real test will come in March when I get out the spring and summer books, because... what will I get rid of? I guess I can use his Goodreads account to keep track of what we read this year and put those away to bring out next year after Christmas? Who knows! It's an interesting experiment I hope I can keep up with, especially given the volume of books we own! 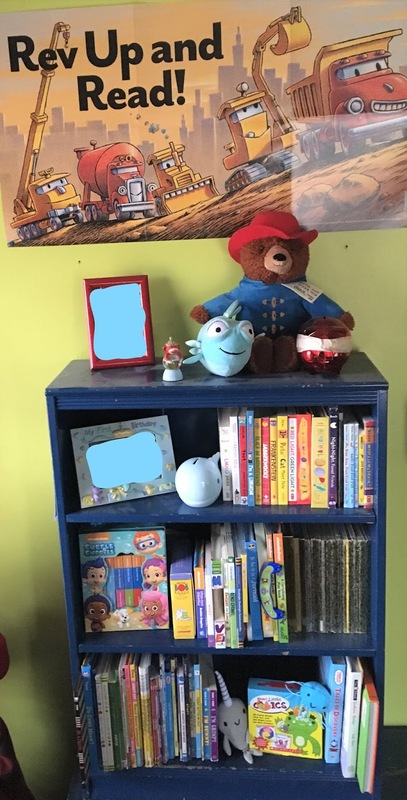 Do you change out your child's bookshelves? Or your own? What themes or system do you use to change them out? Share in the comments!